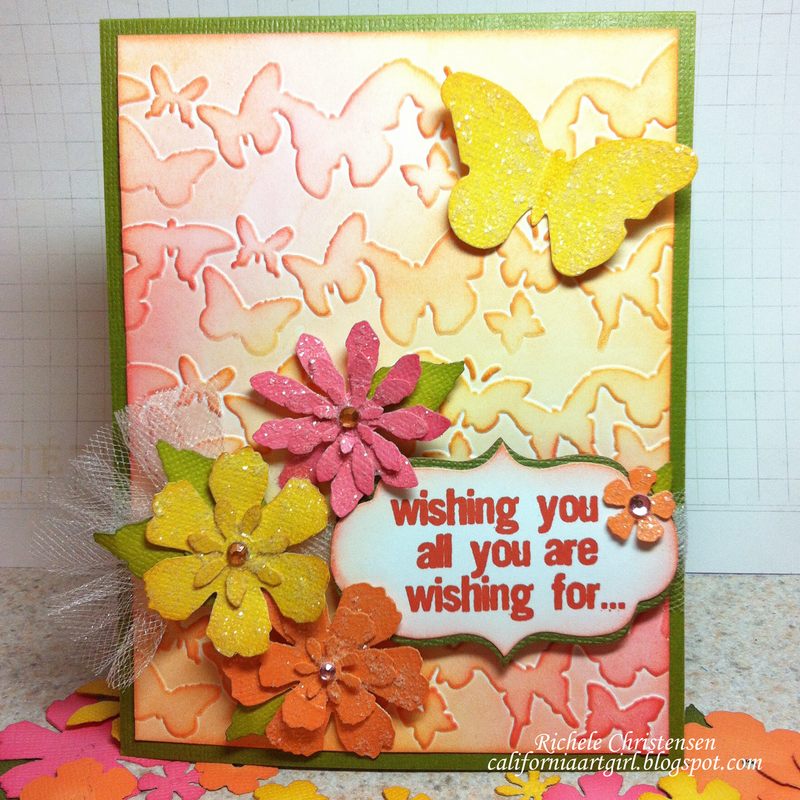 Head over to the Sizzix blog for a card full of flowers and butterflies. 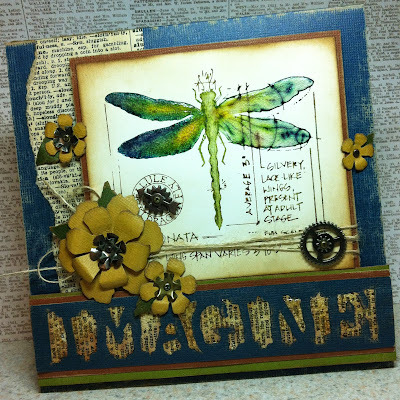 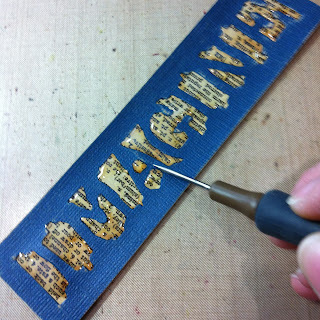 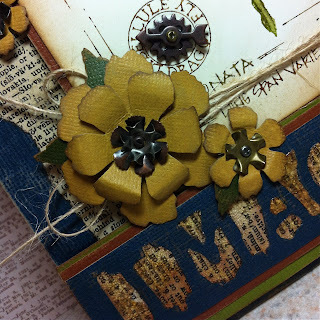 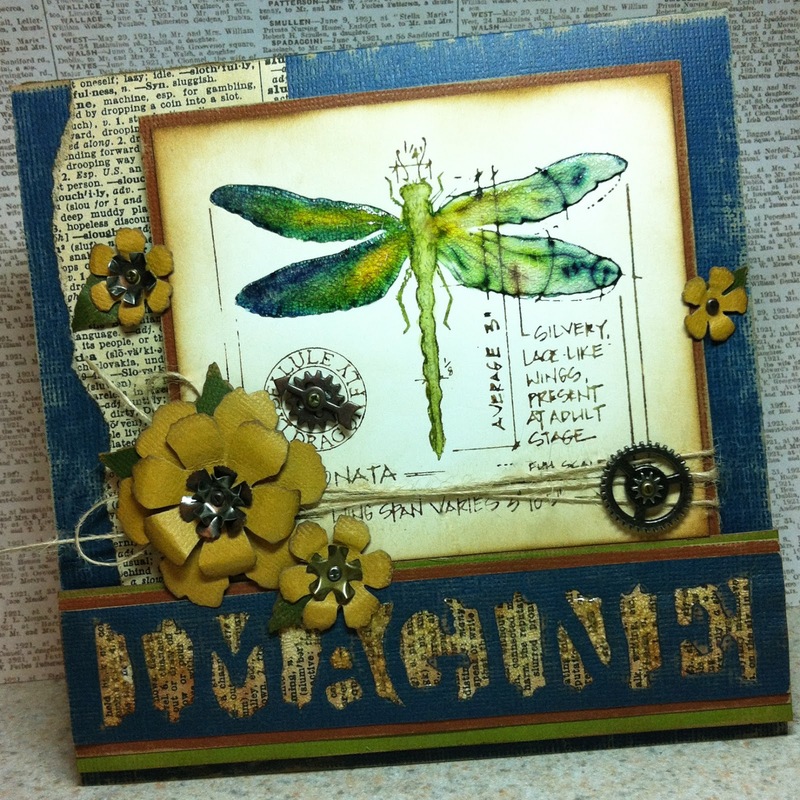 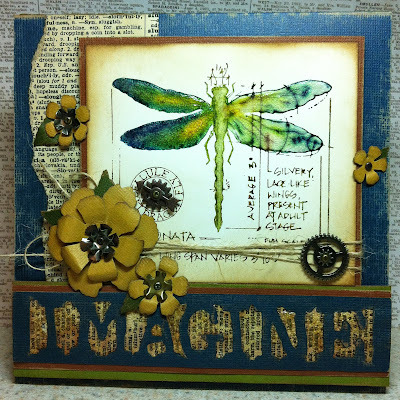 I've been so inspired by this new Tim Holtz Tattered Flower Garland Decorative Strip die. So many possibilities and so many flowers! 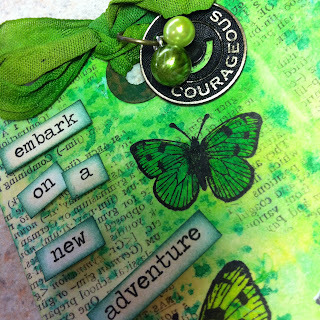 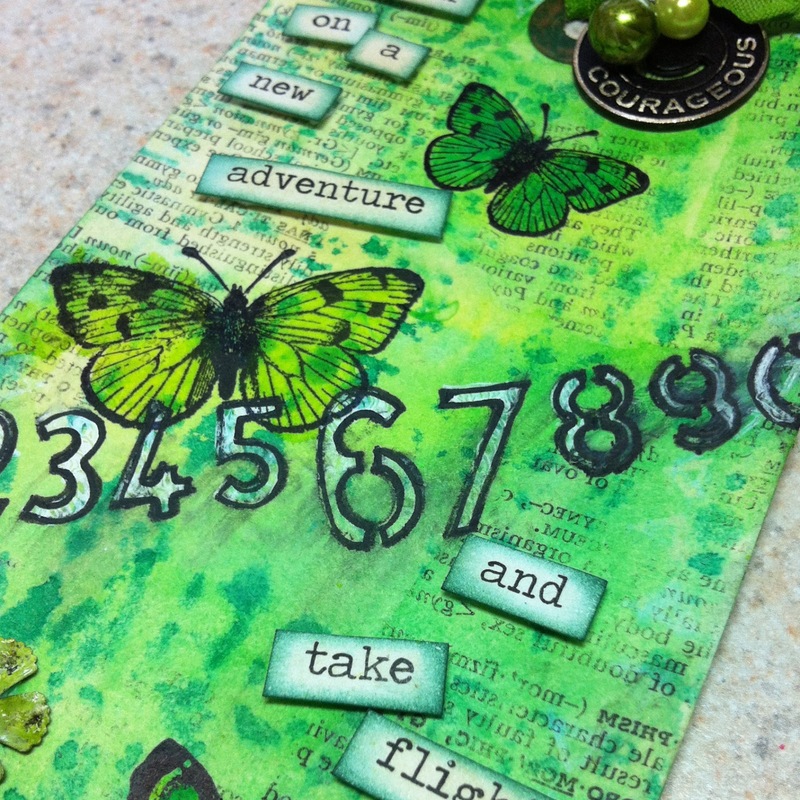 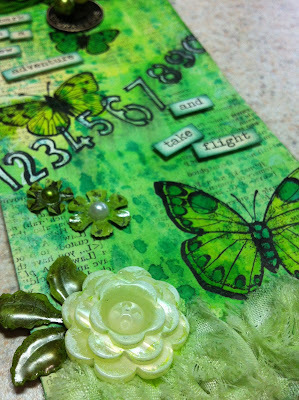 This month over at Inspiration Emporium the design team was challenged to create a project using green. 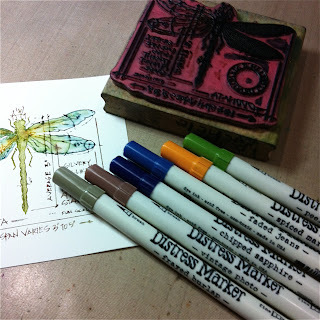 Check it out here for more green projects. 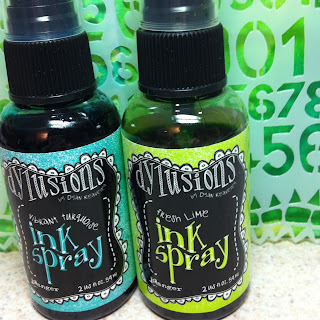 The first step to the tag was to color the background and I've been dyeing to try the new Dylusion ink sprays. 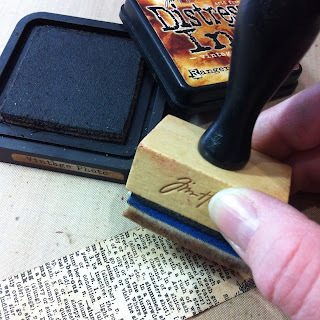 A must have, now that I've used them. 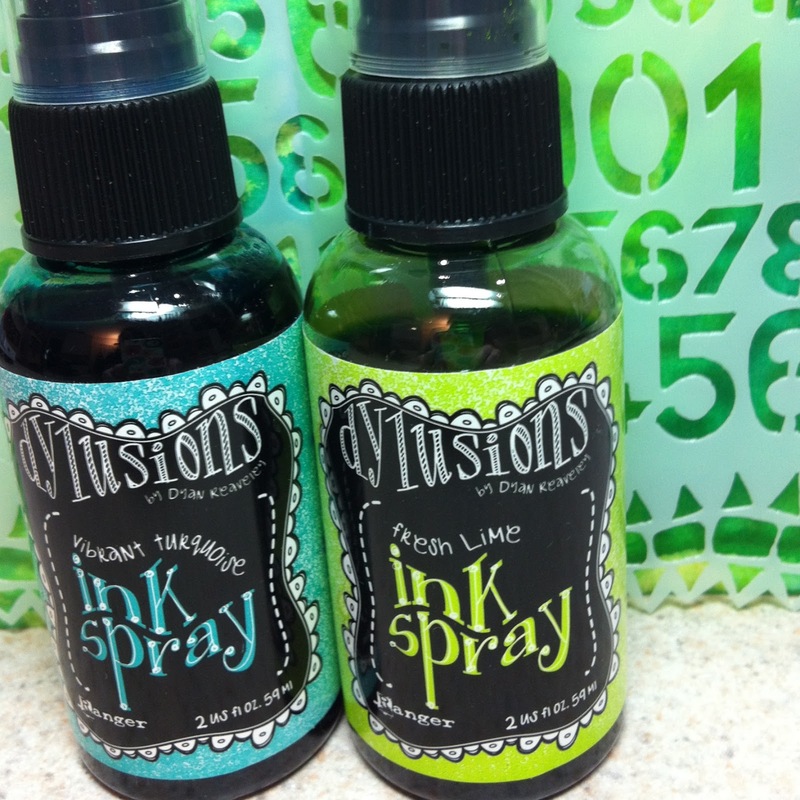 Back to the store to get the rest of the colors!! 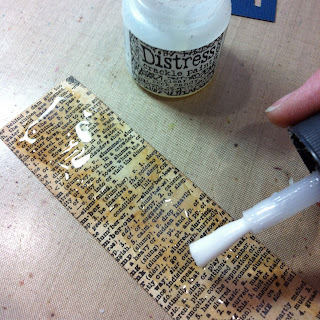 To create a little interest in the background I applied a little matte medium in some areas, burnished some dictionary pages and before it dries completely I pulled off the dictionary page and what is left behind is like magic. It's a reverse print of that dictionary page. 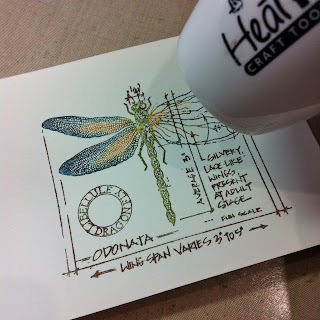 Then stamping some Hero Arts butterflies in Jet Black Archival Ink was just the ticket to add my focal point. 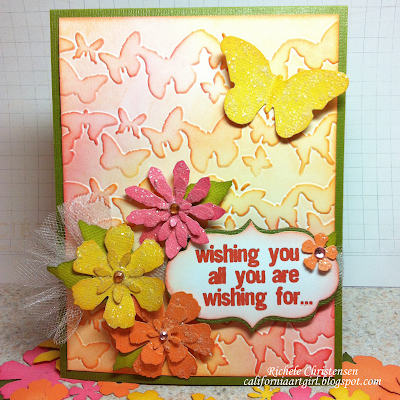 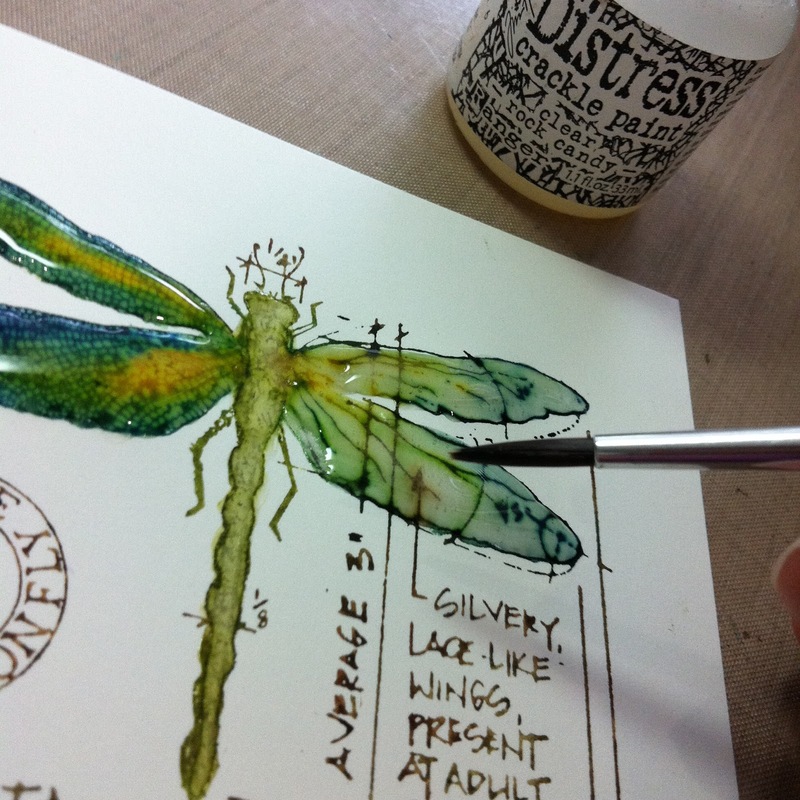 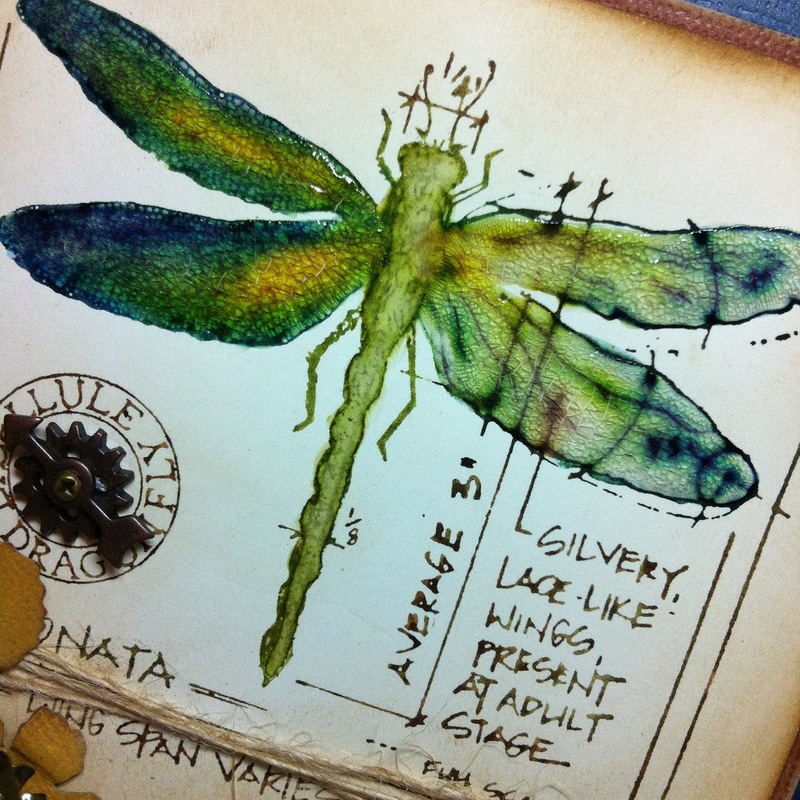 Next I colored the butterflies using the Dylusions Ink in the new Tim Holtz detail water brush. Now it needed some word. 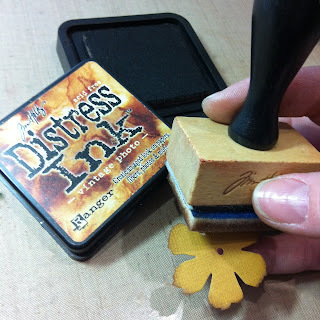 The new Chit Chat is perfect for making little messages on just about anything, just ink the sides with a little Distress Ink on an Ink Blending tool. 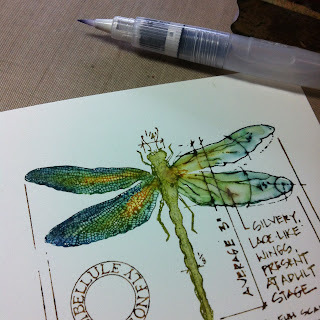 Now embellish the tag with Baubles colored with alcohol inks, a Muse Token added with a jump ring and a little piece of Crinkle Ribbon dyed with, yes you guessed it more Dylusion Ink Sprays don't forget to add a little mist of water. 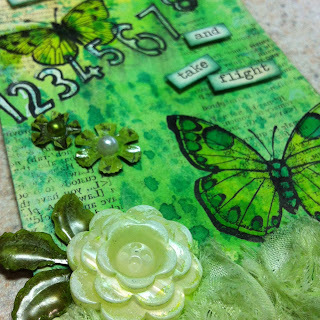 Dyan's number stencil was fun for doodling the row of numbers across the center of my tag. 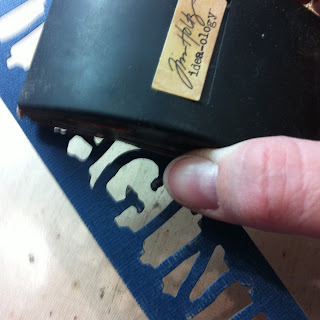 First I filled in the numbers with a white pen and then I outlined it with my black pen. 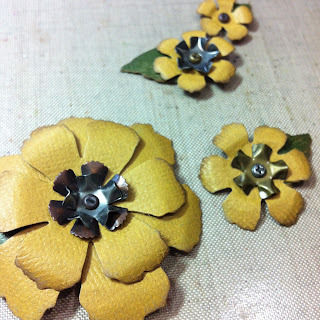 Alcohol ink was used to color the flowers and leaves from Tim's Foliage metal pieces. Oh did I tell you, green is my favorite color. I love green!!! 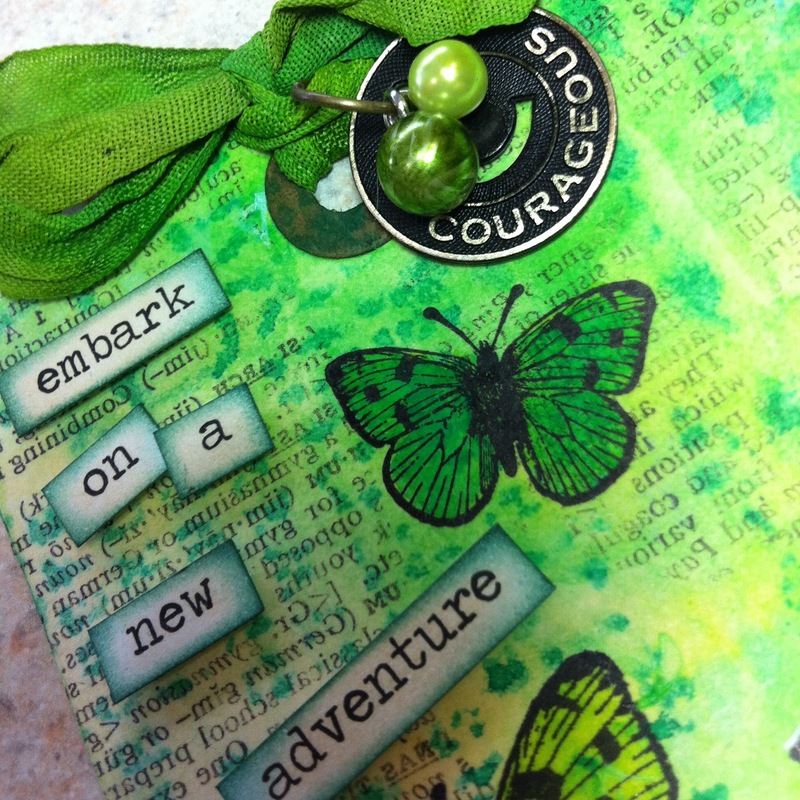 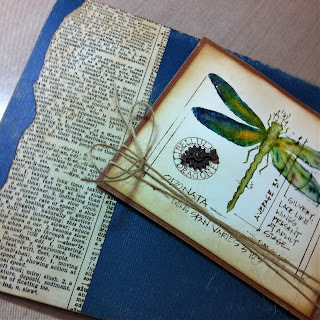 Over on the Inspiration Emporium Blog you can join in and upload a photo of your green project. 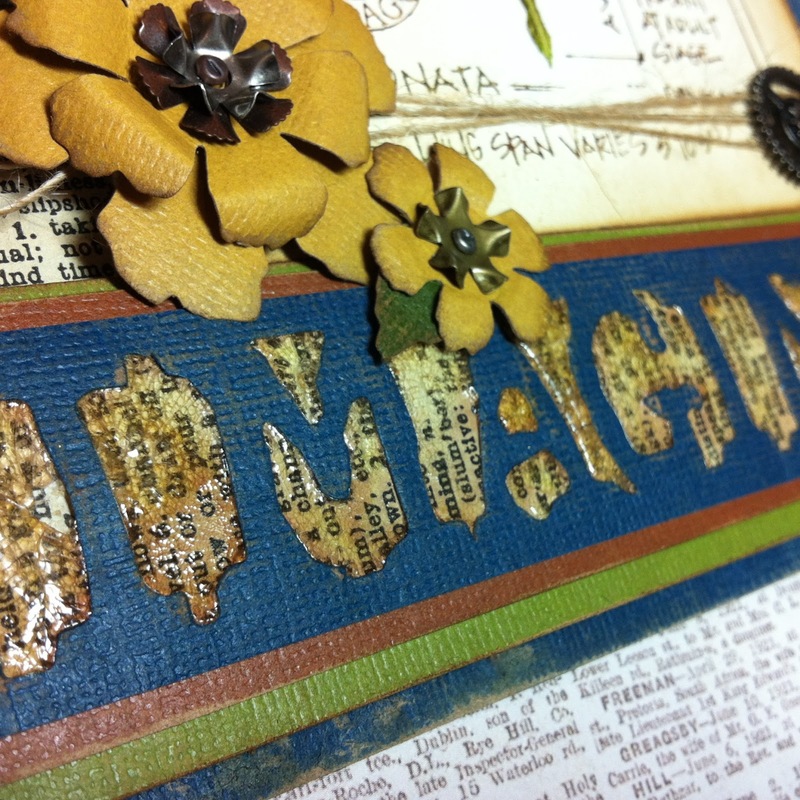 Thanks for coming by and sharing your time with me.